Matthew Burgess is the editor of the new book Dream Closet, an anthology focusing on childhood spaces. 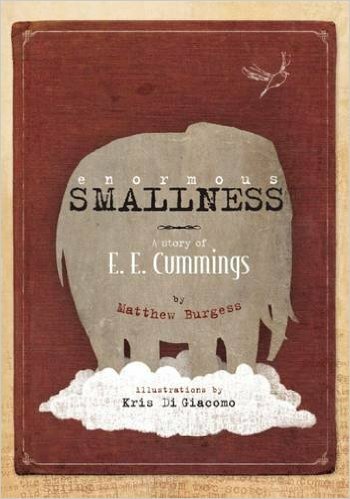 He also has written a poetry collection, Slippers for Elsewhere, and a children's book, Enormous Smallness. 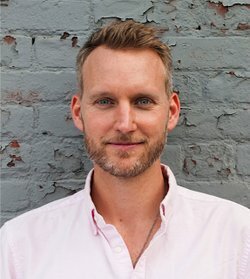 He is a poet in residence in New York City schools, and a contributing editor of Teachers & Writers Magazine. Q: How did you come up with the idea for Dream Closet, and how did you select the contributors? 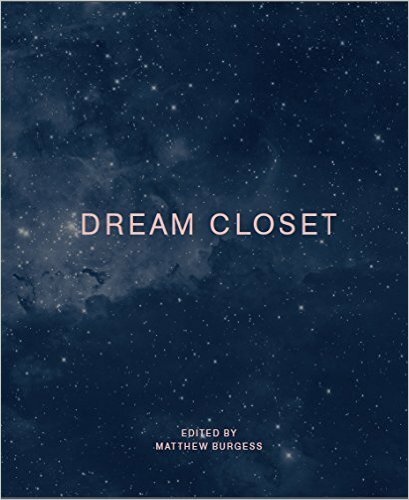 A: Dream Closet is based on the theme of my doctoral dissertation, titled “The Vastness of Small Spaces: Self-Portraits of the Artist as a Child Enclosed.” Around the same time that I was completing and defending it, I contributed several poems to Secretary Press’s book series, Mold. I was struck by how beautiful the book was, and at an event celebrating its publication, Libby Pratt and Michi Jigarjian invited me to pitch an idea for a book. Because so many people had responded to my thesis by describing their own childhood spaces, and because I always enjoyed hearing people describe them, an anthology seemed like a promising idea. I was confident of my own interest, but the question was whether artists and writers would be inspired to create new work on the theme of childhood space. 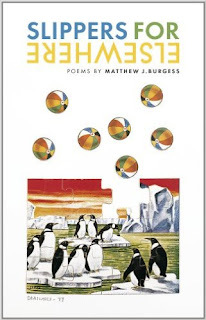 During the summer of 2014 I wrote a description of the book as well as an invitation to contribute, and I began sending it to writers and artists—primarily friends, friends of friends, teachers, and in a few cases, students of mine whose work I admire. I am incredibly fortunate to have so many talented creative people in my life, which is in part a result of working and teaching in New York City for 17 years. Much of the process of finding contributors was serendipitous. I met one of the visual artists at a poetry reading, and another at an art opening for a fellow contributor. When I would describe the book and see people light up with examples of their own “dream closets,” I would go home and send them an invitation. Q: In your introduction, you write of your fascination with small spaces as a child. Why do you think so many people are intrigued by these tiny spaces, and how did you choose the book's title? A: I try to answer this question in the introduction to the anthology. It’s difficult to summarize quickly. But I would say that most children create miniature worlds, worlds to dream inside. Inside these small spaces they can be alone with their thoughts and wishes and imagination, and here they can learn to enjoy their solitude. I teach poetry to 2nd graders in New York City public schools, and recently I asked my students about their “secret hideouts.” They get it immediately. They describe to me the places they like to go—a corner behind the radiator where only Victor fits inside, a tree house at Abdel’s grandmother’s house in Puerto Rico where you can see the ocean. My feeling is that these spaces are inherently creative, and that there is a connection between the small spaces where children dream and the artist’s studio. In a way, artists are people who have figured out how to go on playing when childhood ends, and I suggest that the the small space is essentially what Virginia Woolf called “a room of her own.” It is a temporary shelter from the thousand things demanding our attention; it allows us to dream and work in peace, whether it is on the page or the canvas or on the floor of the dance studio. Q: The selections include both writing and visual arts. Why did you choose to include both, and how did you select the order in which the works appeared? A: From the beginning I wanted to include both writing and visual art. Secretary Press creates gorgeous books that bring together language and image in interesting ways, so this was part of the plan from the very beginning. Plus, I am a semi-closeted visual artist. Discovering the order in which the works appear was a daunting process at first. All of the possible organizing principles that I considered seemed false or insufficient. Fortunately, when faced with the challenge of putting the anthology together, I was living with my boyfriend in his apartment in Berlin. He has a really large space of empty floor by a series of windows—this never would have been possible at my place in New York. 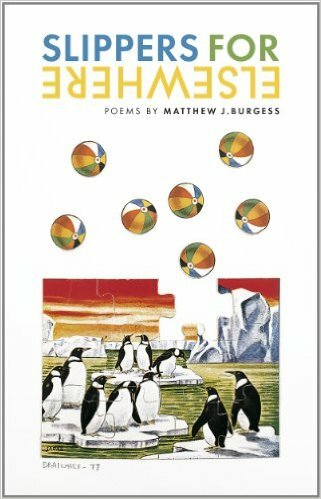 I spread copies of each piece onto the floor and began playing them like a giant puzzle. It was like a terrific hallucination—and I kept returning to it for about a week. Most of the quotations that open each section floated back to me from the dissertation, and I moved things around until they eventually they clicked into place. It was an incredibly satisfying process, and I would gladly do it again! Q: Were you surprised at the range of experiences the contributors chose to write about, and did any of their memories spark corresponding memories within yourself? A: Yes. I had spent at least three years working on the dissertation, and my analysis focuses on the work of a necessarily limited group of writers—Virginia Woolf, Denton Welch, Anne Sexton, Frank O’Hara, Robert Duncan, Alison Bechdel, Jeanette Winterson among them. Receiving new work from contemporary artists and writers broadened my understanding of “the small space” and nudged me into new territory. And yes, of course, one of the wonderful outcomes of reading Dream Closet is the way it will spark corresponding memories in the readers. A: I am on sabbatical at the moment, which gives me the time to work on several projects at once. I am collaborating on a short film with one DC contributor, Matthew Sandager. We made the trailer for Dream Closet together—well, I brought a bag of toys over to his apartment, pushed them around on the floor for a few hours, and then he worked his stop-motion magic to create it. I also recently sold a children’s book manuscript, and I’m working on another one that I’m illustrating myself. As I mentioned earlier, I’m picking up the paints and brushes again, going back to my roots. When I was a kid I was more of a visual artist than a writer, so I’m backtracking. I’m most excited in that intersection of the visual and the poetic.